Former Silicon Knights staff suggest the studio didn't take the development of X-Men: Destiny seriously. X-Men: Destiny was a lousy game, even by the relatively low standards used to judge licensed money-spinners. Our own Susan Arendt called it "repetitive, ugly, stupid and boring," before bashing it on the head with a miserable one-and-a-half out of five. Recent statements from eight anonymous ex-Silicon Knights staff suggest that despite the fact Destiny was the company's last shot at life following the disastrous release of decade-long money-sink, Too Human, the studio considered it little more than a side project. Instead, up to 40 percent of the studio's staff were tasked with creating a pitch demo for a sequel to horror classic, Eternal Darkness: Sanity's Requiem. "Silicon Knights didn't take the development of XMD seriously the entire time I was there," reads a statement from one of the developers. "While I was there, they were even siphoning off staff from my [X-Men] team to work on it." "I was always complaining to the producers about this, as the numbers never worked out. Denis [Dyack, studio boss] is not an X-Men fan either, so he didn't care much for the license. To him, it seemed more like a job to get us by, until ED2 could be developed and sold to a publisher, which never happened." 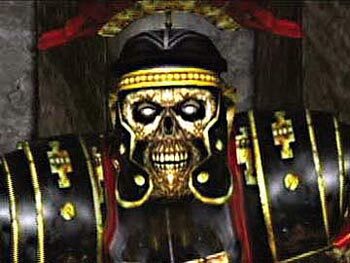 "Some of the individuals on the [Eternal Darkness 2] project were major contributors," a second source added. "At the time, they suggested the developers should be brought onto X-Men Destiny to shore up the team and help them get back on track." While the words "Eternal Darkness" and "sequel" in the same sentence no-doubt invokes a kind of Pavlovian drool response in savvy gamers, Silicon Knights' decision to focus on a pitch rather than its active project may have doomed the game to development limbo. The poor performance of X-Men: Destiny, combined with the costs of a drawn-out lawsuit with Epic Games, forced the developer to shed most of its staff. Last we heard, Silicon Knights is now composed of five people, including founder and boss, Denis Dyack. What's worse, according to the developers the demo wasn't even good. "The farthest they got with it when I left SK was, literally, one two-level church interior," claimed another former employee. "It was really bad, as I recall. It took the side team a long time to even get that far. Bad tech, combined with a team composed of people who had not shipped a title since Metal Gear [Twin Snakes], really hurt that demo. "Other than that, I can't explain why things went so poorly for them [except that] a lot of key people responsible for the original Eternal Darkness are long gone."